Fees associated with Colombian PCT national phase entry as well as other patent fees are available in the fee calculator. The time limit for entering the Colombian national phase of a PCT application is 31 months from the priority date. This deadline can be restored as follows: (i) a two-month term after the factors which prevented the applicant from filing the national phase application have ceased, or (ii) a twelve-month term after the elapsing of the 31-month term for national phase entry, in order to request the restoration of the priority rights. If the international application was filed in the English language (or other), for entering into the Colombian PCT national phase it is required to file a Spanish translation within 31 months prom the priority date. Such translation shall contain at least patent claims, description, drawings (if any) and abstract. If the applicant has made amendments to the claims as a result of the International Search Report (ISR), the translation must contain both originally filed and amended claims. The Power of Attorney must be submitted within 31 months from the priority date. Legalisation is not required for patent registration actions in Colombia; however, for nullity actions a new, duly legalised and notarized, POA would be required. If the applicant is not the inventor it is necessary to provide the copy of the Assignment Deed; legalisation is not required. It may be provided within two months from the date of the Colombian national phase entry (extendable for two more months). The request for substantive examination on Colombian patent application based on PCT must be made within six months from the publication of the application. Acceleration under PPH is possible. If the disclosure of the information on the invention has been made by the applicant, inventor/assignee, or a third party who has obtained information from applicant, inventor or assignee and national office within 12 months before the international filing date or, if priority is claimed, before the priority date, it must not disprove the novelty of a Colombian national phase patent application. No official grant fee is stipulated. After the patent has been granted, the first maintenance fee must be paid before the last day of the month in which the International Application was filed. 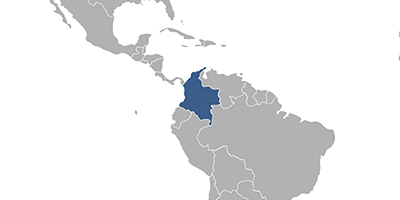 Foreigners must perform the PCT national phase in Colombia through a Colombian patent attorney at law. Online Database for Colombian Patent Search.